Modernizing agriculture has led not only to larger operations but has also led to a need for farm operations to become familiar with a wide variety of legal obligations from numerous governmental agencies. Often the failure to recognize those obligations (or their extent) can expose farm operations and their owners to substantial penalties and, in some cases, criminal prosecution. Construction/Operation of confinement facilities. In Iowa the construction of livestock confinement facilities may require a permit depending on the size of the facility. Construction permits are issued by the Iowa Department of Natural Resources (DNR) and require construction plans, engineering reports and compliance documentation. After the facility is built the construction permit will continue in effect and control the number of animals allowed to be housed at the site, how manure must be stored and other basic operation parameters. Iowa does not currently require a permit to operate confinement facilities, but such permits are required in other states. Employment Issues. As farming operations grow and employees are hired, often little consideration is given to all the laws and rules relating to being an employer. Whether you have a few employees or a lot of employees, there are forms that must be completed, rules that must be followed and policies that should be in place. In many instances, the rules and procedures are different for employers involved in agriculture than for employers in other businesses. Our lawyers are experienced and knowledgeable about the obligations and pitfalls for agricultural employers. Environmental Issues. The Clean Air Act, the Clean Water Act and state laws and rules all apply to agricultural operations in Iowa. The requirements range from how and where manure is applied to the land to whether filters are needed on pit fans to controlling run off from areas surrounding confinement buildings. The rules are different for agricultural businesses than for other businesses and penalties for non-compliance can be severe. We know and understand not only the rules relating to environmental compliance but also the business considerations that must be taken into account to achieve compliance. USDA. The United States Department of Agriculture (USDA) regulates a variety of agricultural operations and effects quality control procedures and parameters. Further, salmonella contamination (particularly in graded shell egg production) is a rapidly expanding area where compliance with regulations as they are adopted will become a critical issue for profitability. Violations can remove products from their normal markets for substantial periods of time and knowing violations can bring substantial fines and potential criminal prosecution. Corporate Farming. Iowa has what appear to be relatively straightforward corporate farming laws. Generally corporations and other entities and people from other countries are prohibited from owning farm land in Iowa. There are exceptions for corporations and other entities whose owners are family members (family farm corporations) and for minority ownership interests and for small numbers of acres. The rules become complex when several people who are not family want to own agricultural land together. Structuring these business relationships is a specialized and unique area of the law in which our lawyers have a great deal of experience and expertise. Taxation. While farming is provided with a number of very attractive options (including cash basis reporting where corporate or syndicated ownership does not prohibit its election), the taxation of limited liability companies, limited partnerships and limited liability partnerships are governed by Subchapter K of the Internal Revenue Code which is certainly one of the more complex areas of the tax code with a number of potential elections where partners die, buy new interests, sell interests, liquidate partnership interests or own other entities taxed as partnerships (so called tiered partnerships). An area where substantial caution is called for in structuring transactions outside of the normal operations of the agricultural entity. 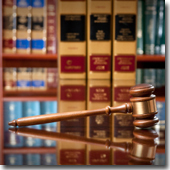 Agricultural law or agri-business law has changed substantially over the years. Currently this is an area of the law that requires very specialized knowledge in a number of different areas. Our lawyers currently represent several large agricultural operations and have the knowledge and expertise in the varied areas of the law which affect agricultural businesses today.